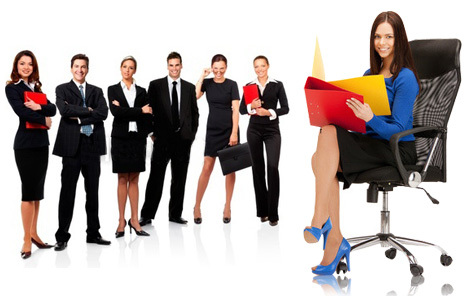 Employee planner software enables you to maintain your employees scheduling task in well organized way. Download trial version of software from website before placing order for licensed version of software. Employee tour and training management software helps you to manage tour and training details of your employees. Trial version of software is available on the site to know software features, if satisfied simply place order for software licensed version. Financial accounting software easily manages entire financial details of your business organization including income, expenses, invoice and inventory details. Purchase full version of software at cost-effective price. Financial accounting software (enterprises) provides comprehensive way to automate complex and time consuming task of managing accounting details in systematic manner. Buy full version of software at affordable price. Purchase order management software helps you to manage sales and purchase records of your company. Buy licensed version of software at affordable price to streamline sales-purchase transactions of your business. Barcode software (professional) allows you to design attractive barcode labels, tags and stickers with the help of different barcode designing tools. Buy full version of software to create printable barcodes. Barcode software (Standard Edition) provides comprehensive solution to create and print ideal barcode labels for your business products. Download trial version of software to evaluate software working before purchasing software licensed version. Card and label designing software allows you to design and print various kinds of visiting cards, membership cards, business cards, product labels, price stickers and other kinds of labels. Buy software licensed version at affordable price. Barcode software for Mac specially developed for Mac machine users who want to design scan able and printable barcode labels. Buy full version of software at reasonable price. Barcode software for healthcare industry allows to design pharmaceutical bar code labels, tags, rolls and bands. Buy full version of software to create pharmacy labels, stickers and tags. Birthday card designing software easily designs and print most attractive birthday cards for your friends and relatives. Trial version of software is available on the sites to know software features. Buy full version of program at affordable price. This edition of barcode software helps you to create industrial barcode labels in linear and 2d barcode font standards. Buy full version of software at an affordable price. Packaging barcode software empowers you to create customized barcode labels for packaging supply and distribution industry. Try demo version of software to know software features before buying software licensed version. Greeting card maker software enables you to create beautiful greeting cards including new year card, miss you card, anniversary card and many more for your loving ones. Buy full version of software at reasonably priced. Postal barcode software is designed and developed to create post office barcodes and bank bar code labels in various sizes and shapes. Purchase full version of software at affordable price to create bank and postal barcode stickers. Publisher and library barcode software allows you to create books barcode labels, tags and stickers. Download trial version of software to examine program features before placing order for software licensed version. Business card maker software allows you to create professional-quality business cards, visiting cards, marketing cards and other commercial in different shapes, sizes and colors. Buy full version of software at affordable price. Inventory control and retail business barcode software is appropriate utility to create inventory and retail barcode labels and tags. Purchase full version of software at cost-effective price. ID card design software is effective application that helps you to design printable identification cards for your employees, students, faculty and other people. Purchase licensed version of software at reasonable price.